John Endo Greenaway is a self-described hapa-sansei who lives and works in the Metro Vancouver area. Born in London, England to a Japanese Canadian mother and an English/Irish Canadian father, he has spent the last 55 years trying to figure out where he fits in. He will let you know when he does. In the meantime, he toils in the cultural mines as a self-employed graphic designer and as managing editor of The Bulletin, a journal of Japanese Canadian community, history and culture, a job he inherited from his mother, Fumiko Greenaway. Despite possessing no qualifications, he has held the position for almost twenty-five years. In the late seventies, while living in Vancouver’s first housing co-op on Union Street, John was introduced to the Vancouver Japanese Canadian community by neighbour Takeo Yamashiro, who invited him to perform his songs at the Tonari Gumi coffeehouse in the DERA office on Cordova Street. By the end of the evening he had joined Kokuho Rose, an Asian Canadian folk/blues band that included Rick Shiomi, Linda Uyehara Hoffman and Takeo Yamashiro, among others. He went on to write a number of songs for the group. 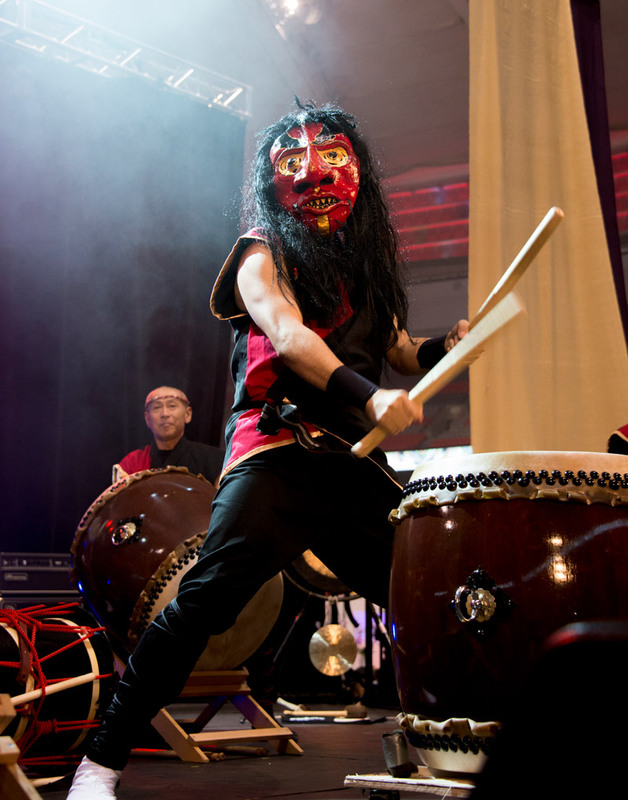 In 1979, as a founding member of Katari Taiko, Canada’s first taiko group, he helped create a fertile ground for Asian Canadians across the country to explore and transform their cultural heritage. It was during his time with KT that he began to compose for taiko, creating the first original Canadian taiko composition, Talking Drums. In 1988 he formed Uzume Taiko, Canada’s first professional taiko ensemble, with Eileen Kage and Leslie Komori. As a member of Uzume Taiko he collaborated with and created work for Jay Hirabayashi and Kokoro Dance, including Rage, a piece that explores the Internment through dance, taiko and martial arts, and toured extensively across Canada and Europe. In 2010 John helped found Sansho Daiko with his wife, Amy Newman, and a number of others. 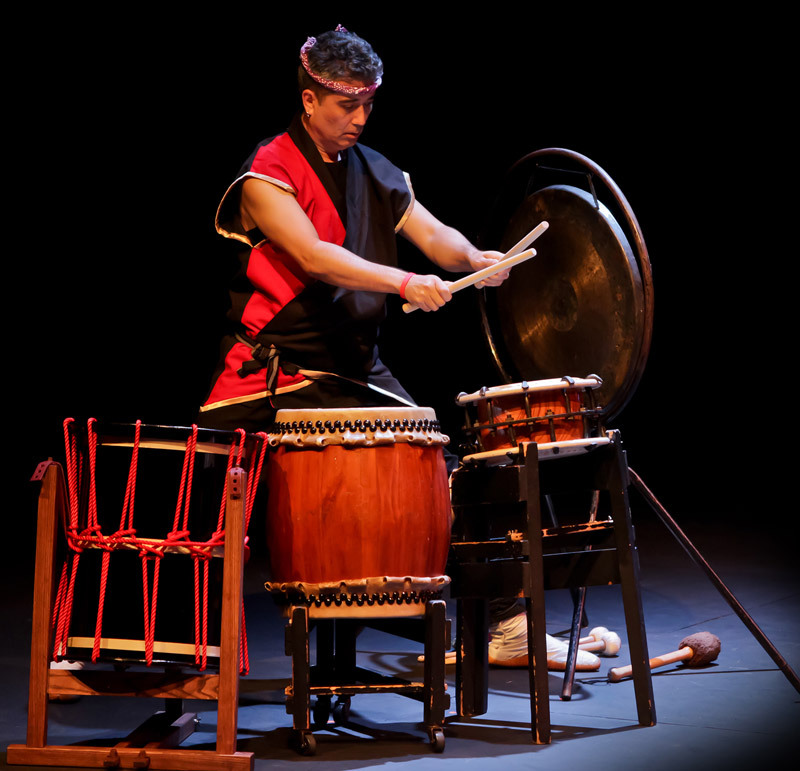 As a member of Sansho, he enjoys teaching and composing new works for taiko. He is currently interested in developing a new compositional style for taiko based on group improvisation. 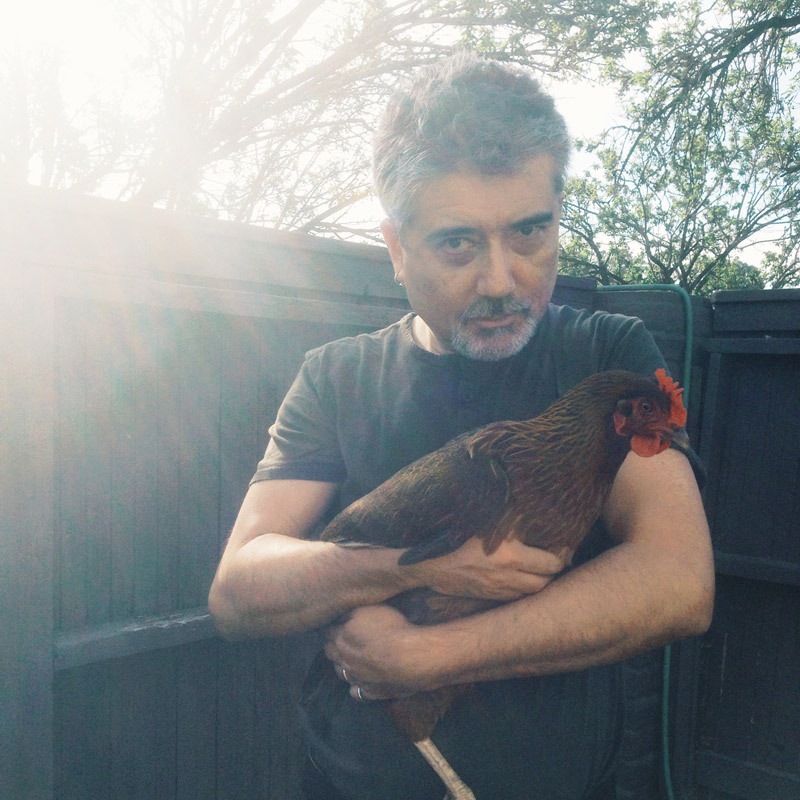 As a composer and performer he has contributed taiko compositions to several film scores including Obachan’s Garden by Linda Ohama, and Minoru, Memory of Exile by Michael Fukushima. One of his compositions appears in the film Skin Deep by Midi Onodera. In 2015, as a member of the Vancouver Taiko Society, he helped conceptualize and shepherd a large-scale community-based, cross-cultural, cross-disciplinary work, Against the Current, that was first performed at the Powell Street Festival and then remounted and expanded a few months later at the Heart of the City Festival. The piece brought together five local taiko groups with First Nations performers to explore the importance of salmon in their respective cultures. 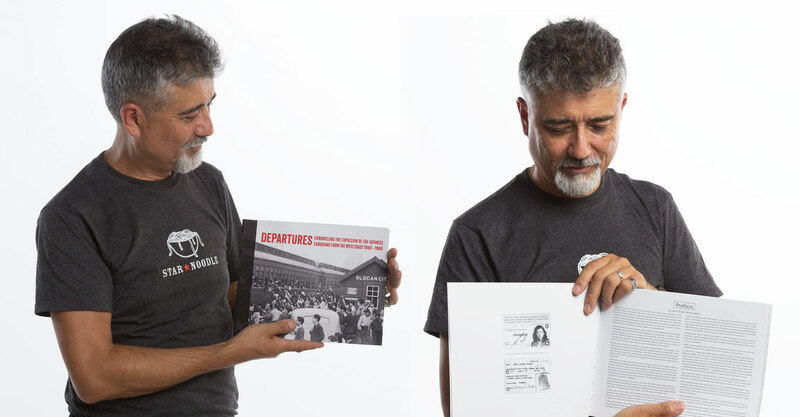 In September, 2017, the Nikkei National Museum published a new book, Departures: chronicling the expulsion of the Japanese Canadians from the west coast 1942 – 1949. 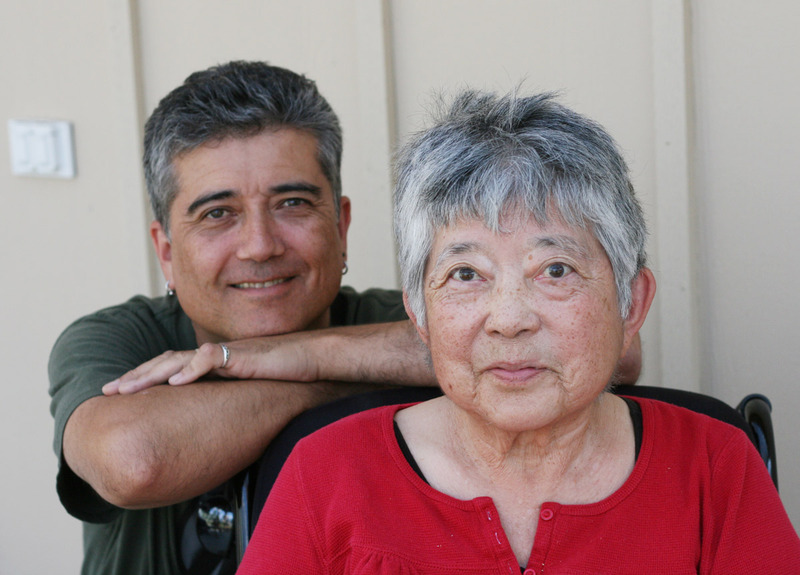 The book began as a collaboration between John and his mother Fumiko, but was never completed until now.